After 90 minutes of trying to fight it out with the Union line at Kelly Field, the brigades of Wood and Polk retreat from the ridge. 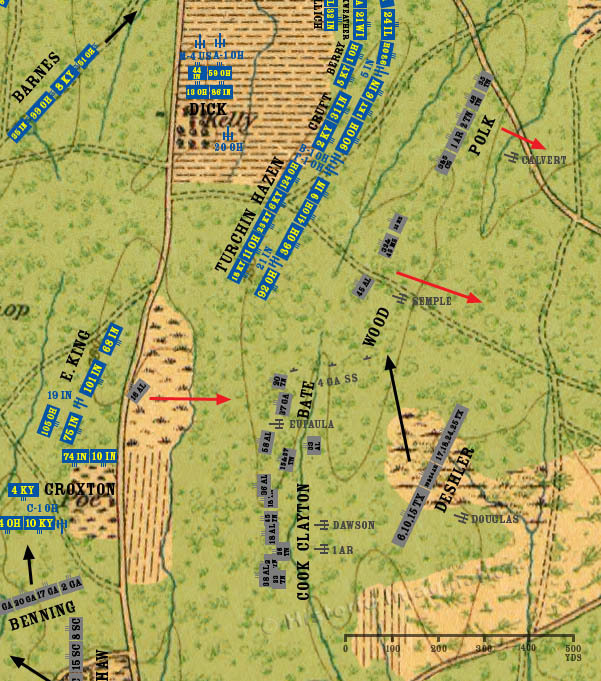 After the initial volleys, most of the fighting had been at the crest clinging to whatever cover could be found, but the casualties were still heavy. Deshler’s Brigade is ordered up to renew the assault.